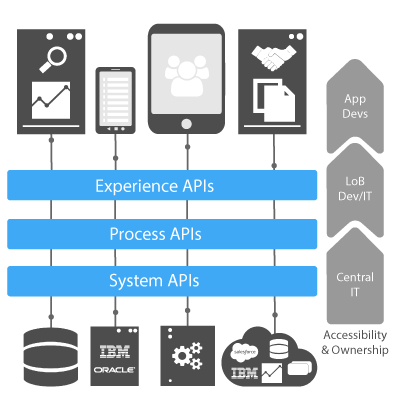 APIs (Application Programming Interfaces) are critical building blocks for efficient connectivity between applications and systems both online and on-premises. Influential’s APIs deliver essential mobility, scalability and connectivity, improving your operational efficiency and business agility, no matter the scale of your enterprise. Engage your customers, partners & teams 24/7, seamlessly and instantly with APIs fine-tuned to even the most specific functions. Enhance your mobile strategy and meet high demands for mobile applications without putting a strain on IT resources. MuleSoft’s Anypoint Platform™ is the world’s leading integration platform for SOA, SaaS, and APIs. Connectivity with APIs transforms the development and management of new applications and streamlines the tools needed for business processes and growth.